The Volunteer Center coordinates with non-profit organizations who provide youth community service opportunities. Today, local governments and non-profits face the challenge of providing more services with fewer resources. 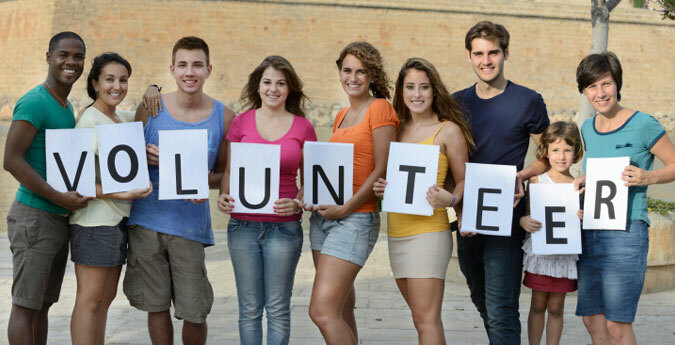 Student volunteers bring energy and enthusiasm to the mission of any non-profit organization. And, maybe, some of these young people will come up with innovative solutions to community problems. • Students who participate in community service are 22 percent more likely to graduate from college. In the orientation session, students participate by learning how to get started as a community volunteer and to complete community service hours. They are given the tools needed to become volunteers and assets to their community. Proper dress, demeanor and responsibility are some of the important issues taught to improve lifestyle and guide youth in becoming better citizens. The students who attend learn how to perform community service while helping others and making life better for those less fortunate. This Youth Volunteer Program stresses the importance of giving back to our community and helping other people in need. The school administrators of the Texarkana area have embraced the program to encourage community involvement and will be trained to present the program to their students.